There's no place quite like Seaside, Florida. And no better way to rent a vacation cottage directly in Seaside, the heart of Florida's scenic Highway 30A. The Homeowner’s Collection is owned and operated by its participating Seaside cottage homeowners. We have over 85 private vacation homes for rent in acclaimed Seaside ranging from one bedroom condos to six bedroom cottages. We have several options from beachfront honeymoon cottages to cottages with a gulfview, a town view, guest cottages, and even a few studios. We are an onsite full service rental agency that provides high quality amenities, special touches, and personalized service throughout your stay. Enjoy a Seasider experience with us. Need a special cottage that works for your family? Having trouble finding dates that work for your schedule? Our staff can help. Call us at (855) 411-1557. Seaside is the heart of Highway 30A. Stay steps from the beach, shopping, restaurants and Seaside events. Park once, walk everywhere. 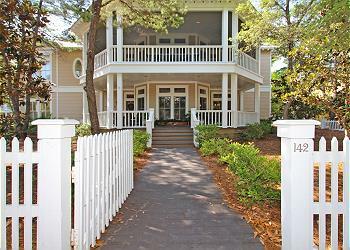 We offer over 85 vacation rental cottages in Seaside, Florida ranging from 1-bedroom to 6-bedrooms. We have the right cottage for your family. Book through us and avoid up to 12% manager and services fees charged by companies like VRBO, AirBnb, and Homeway.